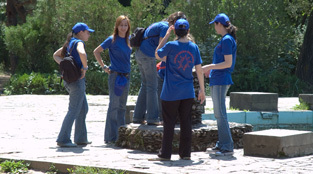 3000 young Tbilisians got a great possibility to work during the summer 2006. An impressive initiative from the authorities. The young ones were very happy about it too. This girls had responsibilities for maintainance of a park. The Pioneer Camp in Racha. scarves have been changed into a more McDonalds-inspired blue uniform, and the TV-commercials, carefully directed by the government PR-department shows how lucky the 3000 young boys and girls are, having summer jobs maintaining the city. That is well spent money and education for the young Georgians. When I asked some of them if they enjoyed their jobs, the answer was “YES, YES, YES”. “But we don’t really know what we are supposed to do. Best part is we meet many others and have fun”. But there is more to come. The Government promise to reduce unemployment with 50% during 2007; an ambitious goal and a potential neck breaking political stunt, as a lot of the reduction is going to happen by offering young people internship in companies. This was only the beginning in 2006. Things evolved in the “Pioneer movement”, which wasn’t actually called a Pioneer movement at that time. 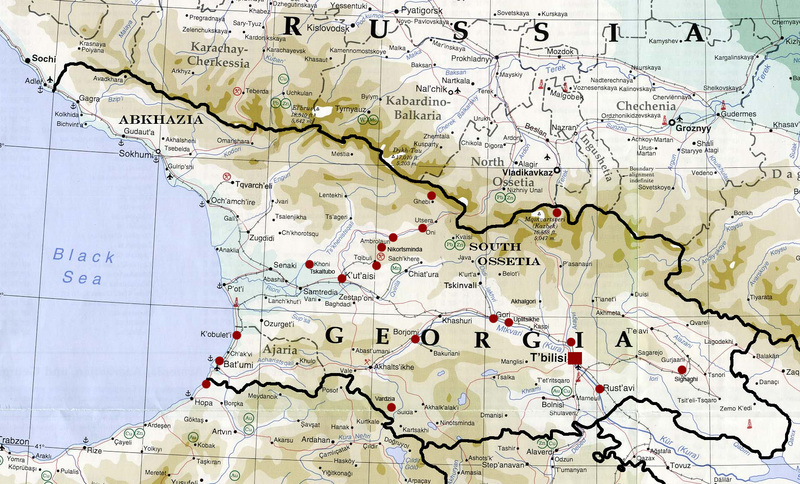 It started originally as just a great possibility for young people to get a job, but turned into a organisastion called “The Pioneers” where young boys and girls could go to camps close to Abkhazia, Racha or other places to meet up and sing patriotic songs, and maybe try to convince some stubborn separatist wannabee to become true Georgians. A young man I spoke with this summer had participated on one camp. He told me about singing about getting Abkhazia and South Ossetia back, theater and smoking. "After that we were really hot for a war"! For many Georgians this seems a little over the top in the "nationalism" department, and it’s legit to make fun of the Pioneer camps. What happened to the project with internship in companies, I don't know. But with the Russian destruction and financial crisis the probability is low for the project to continue. The locals find the whole Pioneer Camp a bit strange.